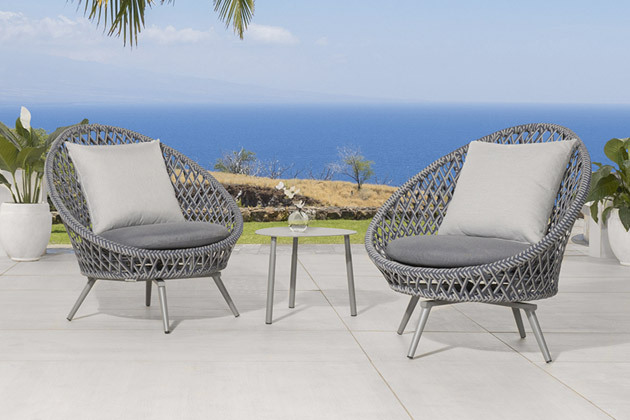 Substantial and stylish - this weathered gray woven looks perfect in a contemporay and beach setting. The Aqua blue looks soothing on this set. 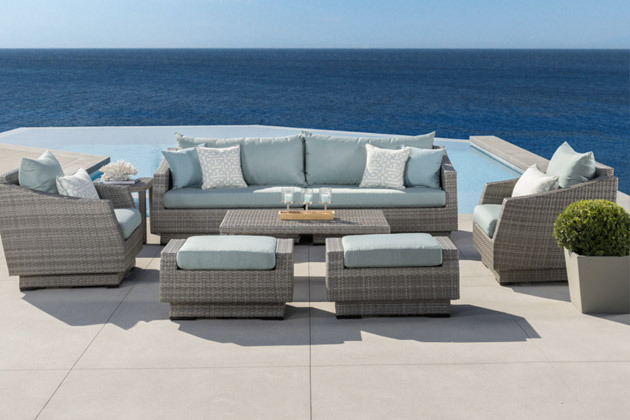 The strong contrast of this set makes me happy - I love the accent pillows and the entire look - really sharp set to jazz up the yard! 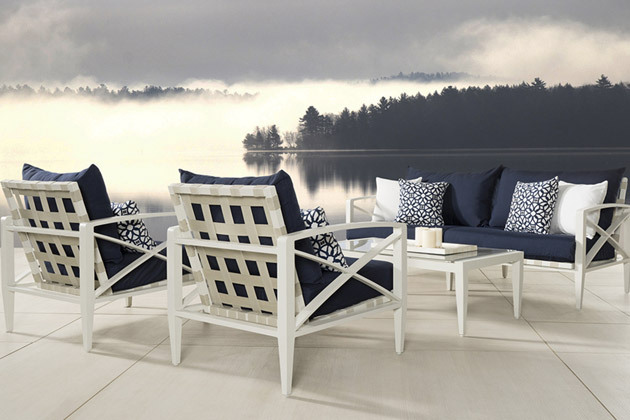 Again the sharp contrast of this set and cushions make it striking! 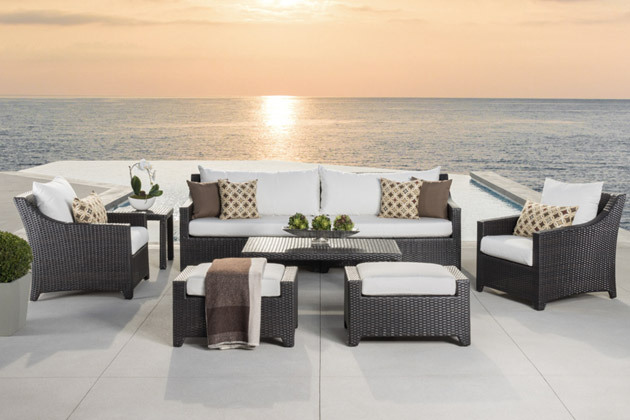 Perfect on the coast, a yacht or chic backyard - this set will add class to any setting. "I am delighted to represent such a quality product. I have bought and chosen RST Brands for my clients and I am proud to be their Brand Ambassador. Quality, Affordable and Chic - check!" "We strive to be a positive presence. It’s our desire to bring a new point of view and a new purpose for the process. We are so happy to be creating that our passion can’t be ignored. Whether designing havens for clients, a safe respite for the children of Miracles for Kids or creating works of art, we are grateful. Our vision is to design with a purpose, inspiring everyone we encounter."" 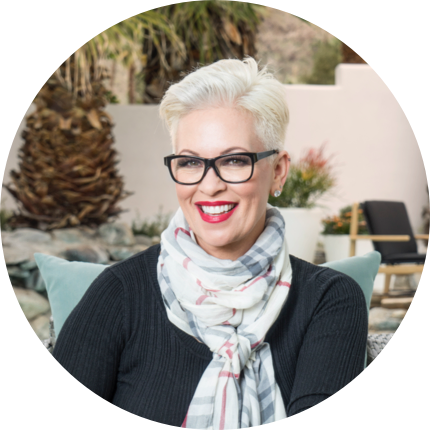 You’ve likely seen Kelli as the featured designer on TLC’s Clean Sweep, HGTV‘s Takeover my Makeover, and productions of Value Booster’s, Move or Improve, and The House Therapist. You’ve watched Kelli design homes and offices on Bravo’s, Real Housewives of Orange County. On HGTV’s #1 Holiday hit, Celebrity Holiday Homes, and is a guest designer on HGTV’s current hit show, House Hunters Renovation.